As the coldest of the winter months are slowly (very, very slowly) coming to an end, things are staying hot in Animal Crossing: Pocket Camp (Free) thanks to a new beach fishing tourney. 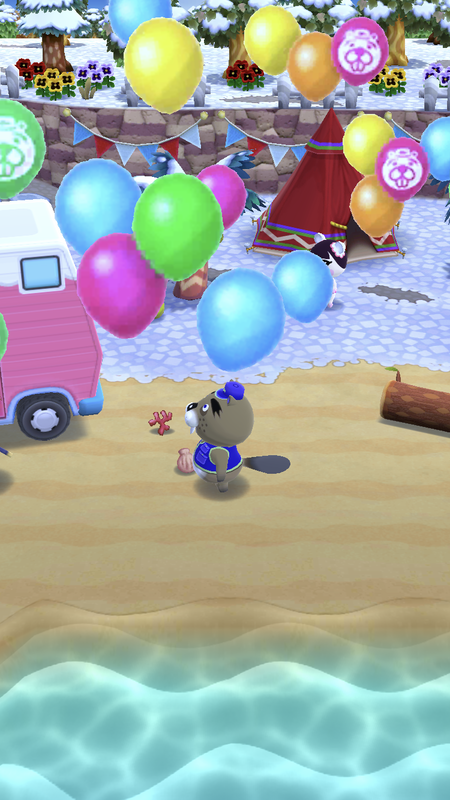 Let’s just ignore the snow in the background and celebrate, as Chip has returned to Saltwater Shores! As always, he brings a Golden Rod at a charge to double your fishy catches with each cast. This event’s fish include the chambered nautilus, coelacanth, and horseshoe crab. Unfortunately, there are no fish tanks with these creatures available through this event. Trophies are awarded at 10 cm (wood), 1,000 cm (bronze), 2,800 cm (silver), and 9,000 cm (gold). If most of these items look familiar, don’t worry, you’re not having déjà vu. 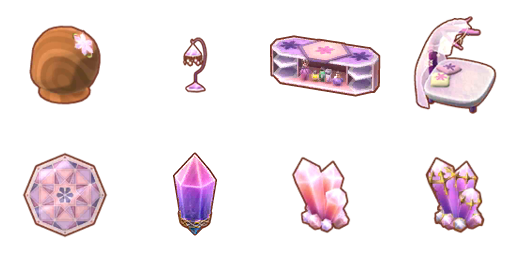 Several are pink reskins of items rewarded during the Crystal Collection event, which was held in-game last February. It’s time to mix and match! Fishing Tourney #11: Pink Crystal runs through February 25 at 1:00 a.m. EST. It will wrap up the events portions of Candy Cluster Muster, in which the player collects sweets by completing goals to earn a special gumball machine and cotton-candy cloud (which is extra adorable for photos). What’s next for Animal Crossing: Pocket Camp? We don’t yet know what events we’ll be getting next month, but we do know that Pavé will be joining the camp sometime later this month as a special NPC character with his very own dancing stage. Viva Festivale!